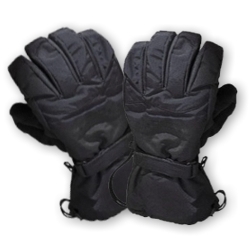 This military glove make for winter use with water proof fabric and leather. The glove is also wear in extreme cold weather during working hours. The back shell of the glove is water repellent and inner windproof, waterproof lining. This glove is very similar to our style number 1642. The difference between only the light weight and easy wear. Waterproof and good seal against cool wind. o Quality PU coated Oxford Nylon® back hand.